Several months after the 1984 election loss, Jim McLay replaced Muldoon as National Party leader. 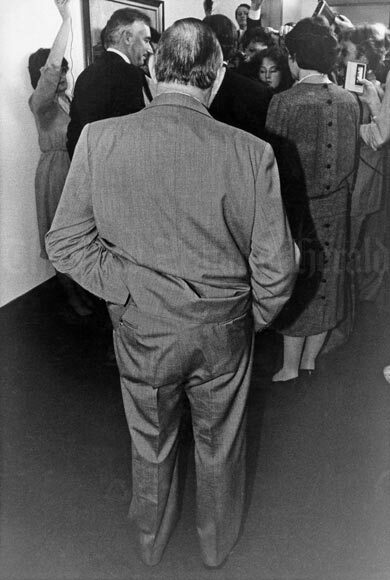 This photograph, which shows Muldoon looking on as the press gather around the new leader, suggests how politically isolated he was at this time. After McLay was deposed as leader by Jim Bolger in 1986, however, Muldoon returned to the front bench as foreign affairs spokesperson.